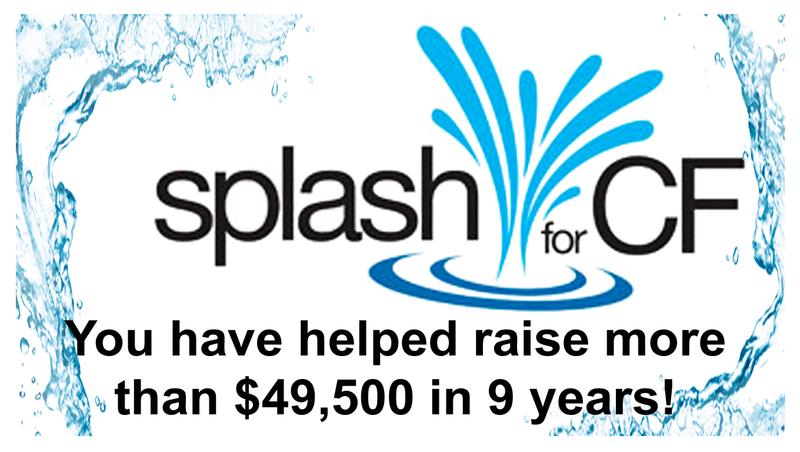 Pool World is pleased to announce the kick off of their Splash for CF Program, started yesterday Tuesday, May 1st. In the past 9 years, with your generous help and donations you’ve helped support our own local Cystic Fibrosis facility at Sacred Heart with $49,500. Each year about 1,000 new cases of cystic fibrosis are diagnosed. CF is a chronic genetic disease that affects the lungs and digestive system of about 30,000 people in the United States. In the 1950’s, few children with cystic fibrosis lived to attend elementary school. Today, advances in treatment and research have extended the life expectancy of CF patients to approximately 37 years old, with many living beyond that. ALL SUMMER FROM MAY 1ST TO AUGUST 31ST A $10 DONATION TO CF AT POOL WORLD ENTITLES YOU TO 5% OFF YOUR PURCHASES OVER THE COUNTER. Some exclusions may apply. See Pool World for details.